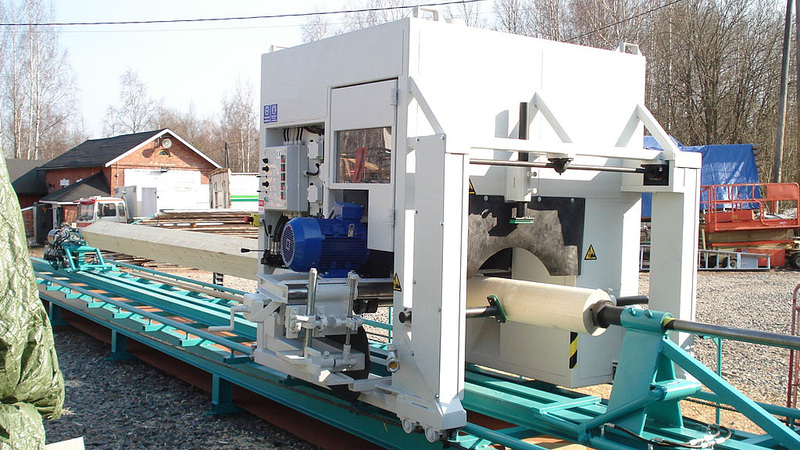 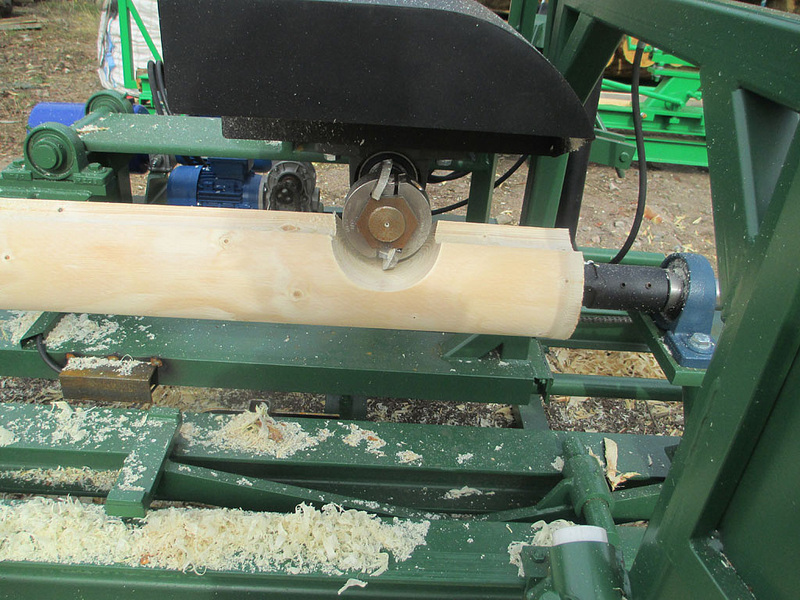 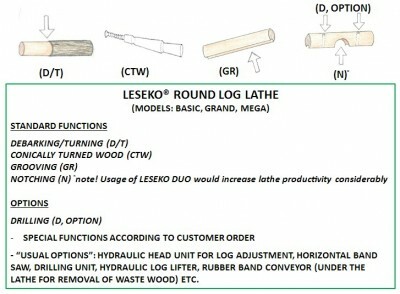 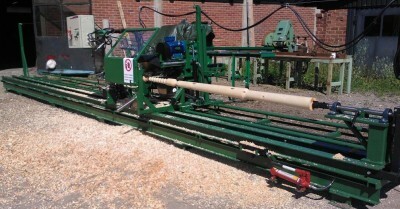 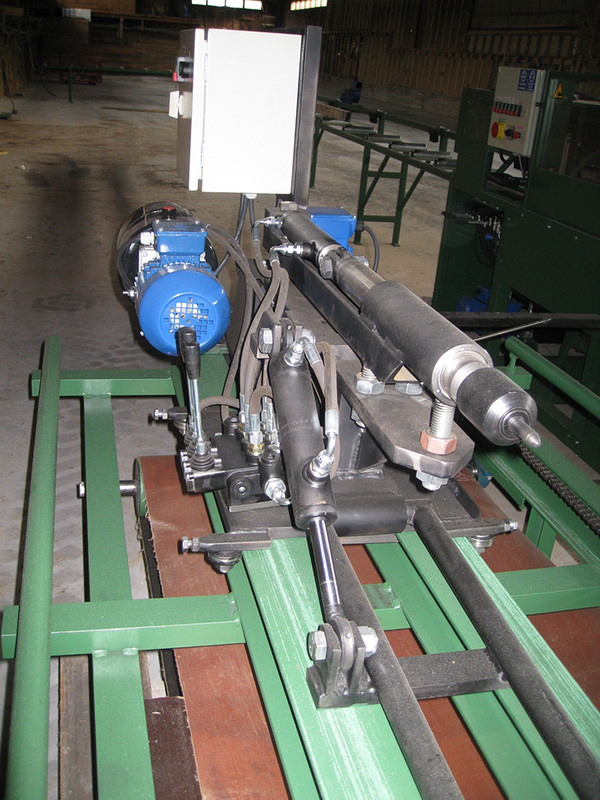 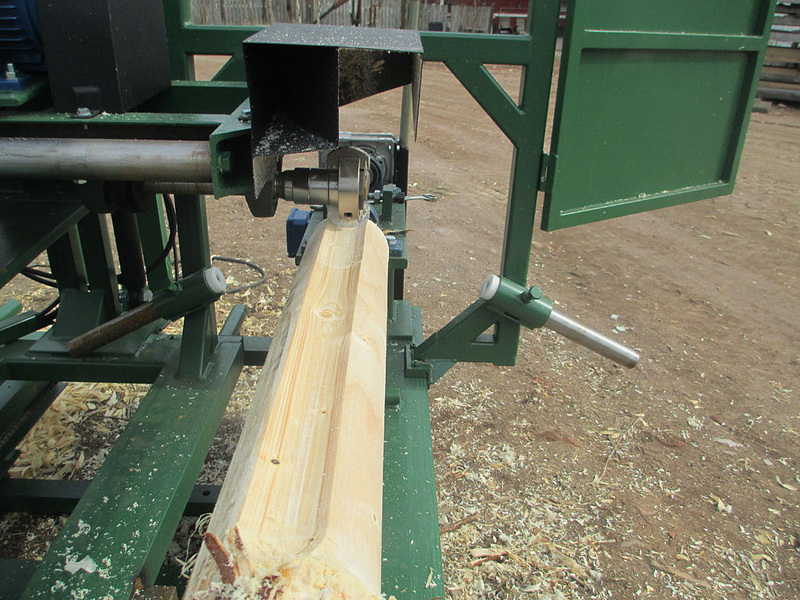 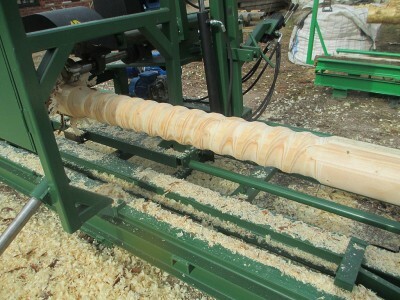 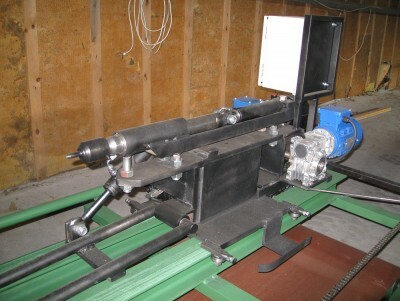 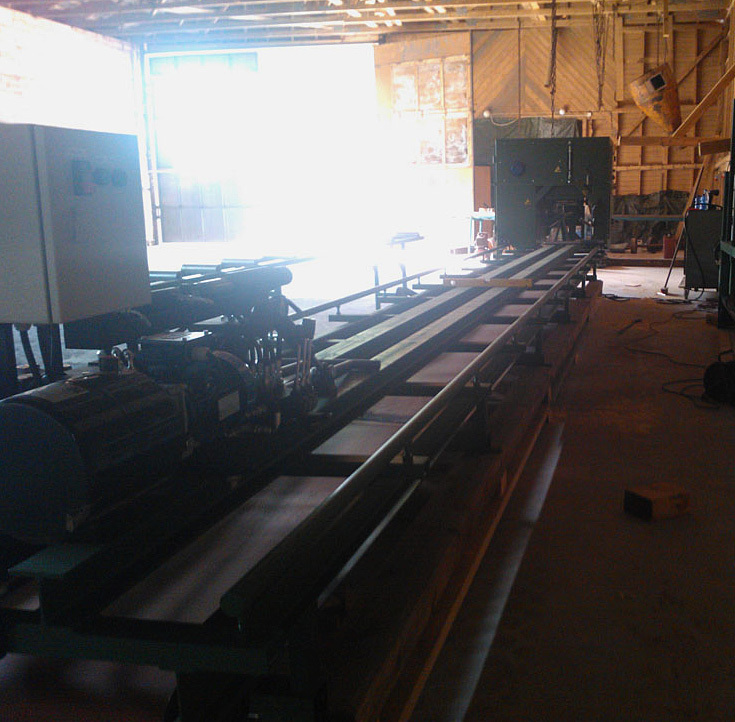 Leseko round log lathes are an efficient solution. For professional production we strongly recommend to buy also Leseko DUO (for cross-cutting, mortising, notching, drilling) in order to maximise the production. 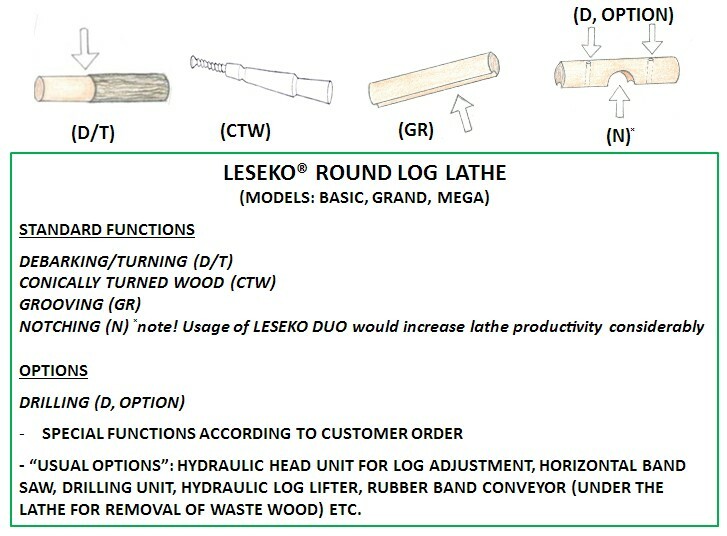 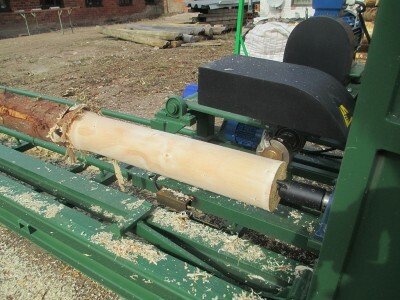 Actually Leseko DUO can handle about the output of two lathes (depending on the conditions). Lathe for small volume professional production. 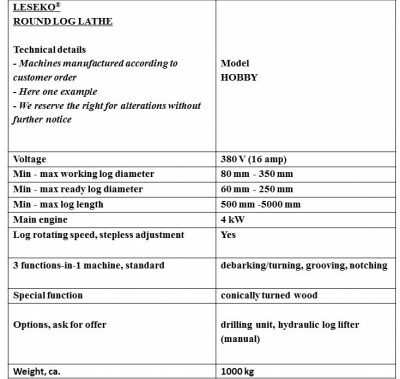 Max ready log diameter 250 mm. 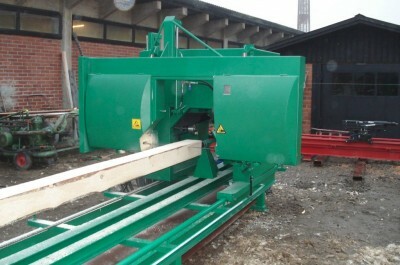 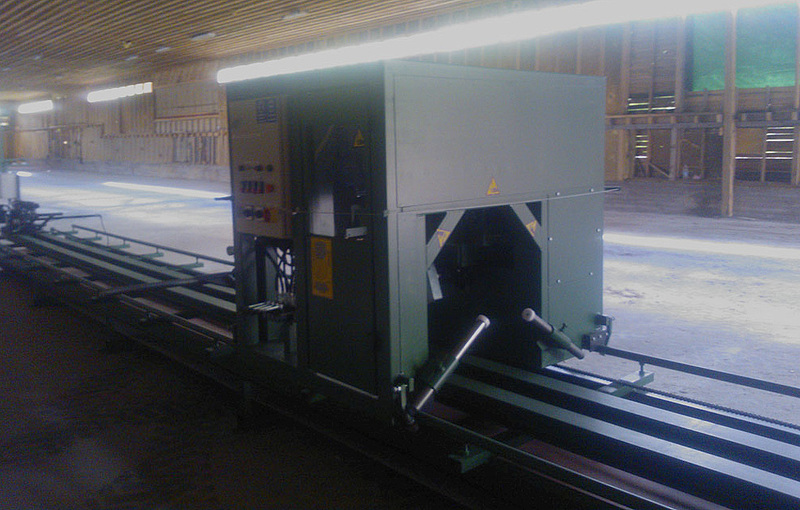 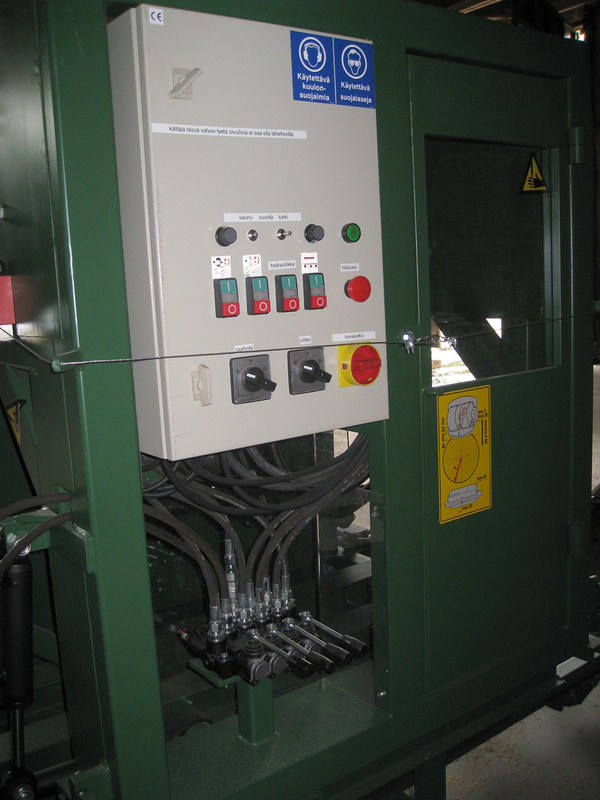 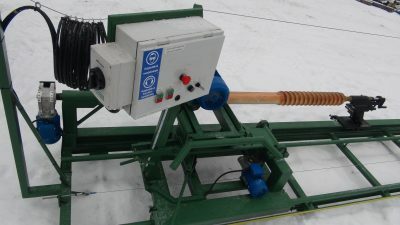 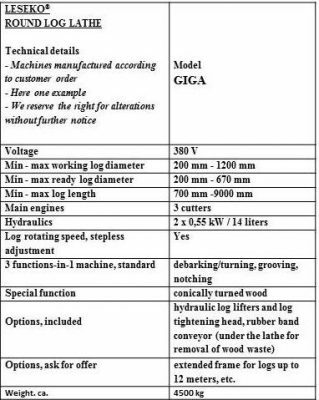 Options, for example: hydraulic head unit for log adjustment, horizontal band saw, drilling unit, hydraulic log lifters, rubber band conveyor (under the lathe for removal of wood waste), etc.